We actually tested the previous incarnation of the AllWave and, while sharing many traits to 2014’s offering, it’s in no way the same beast. Previously it felt somewhat too ‘corky’ – as much as it was super easy to catch waves, turning often felt bouncy. This seems to have been addressed with the AllWave 9.1ft, so while retaining a generous amount of volume (160L) it now carves much more smoothly when on a liquid wall. 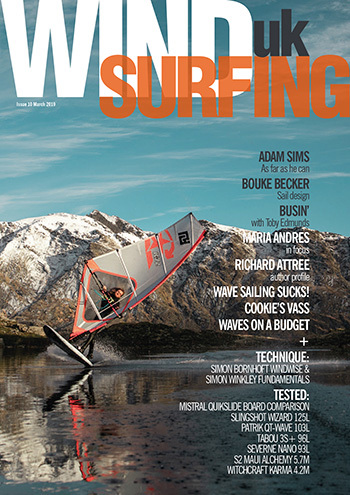 There’s bags of performance for all levels of paddler to get their teeth into with 2015’s model. 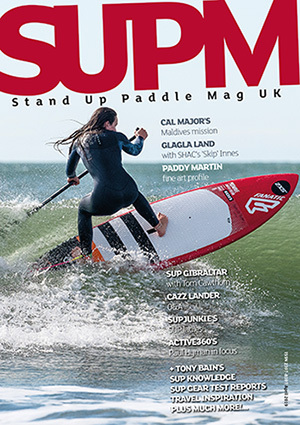 SUP Mag UK’s testing home can be a choppy/breezy spot and the AllWave has been our go to stick when conditions have been less than perfect. Comfortably floating us out to the offshore take off, giving good glide into the drop with smooth acceleration as the rider drives out of the bottom turn, it’s a true surf tool. One of the most surprising things about this Fanatic is how loose, for such a big board, the AllWave is. For riders with ability, slashing one off the top is super fun and all but the lightest of riders will find great reward when rebounding off white water. If you’re searching for even more slide then remove the central skeg and hey presto! 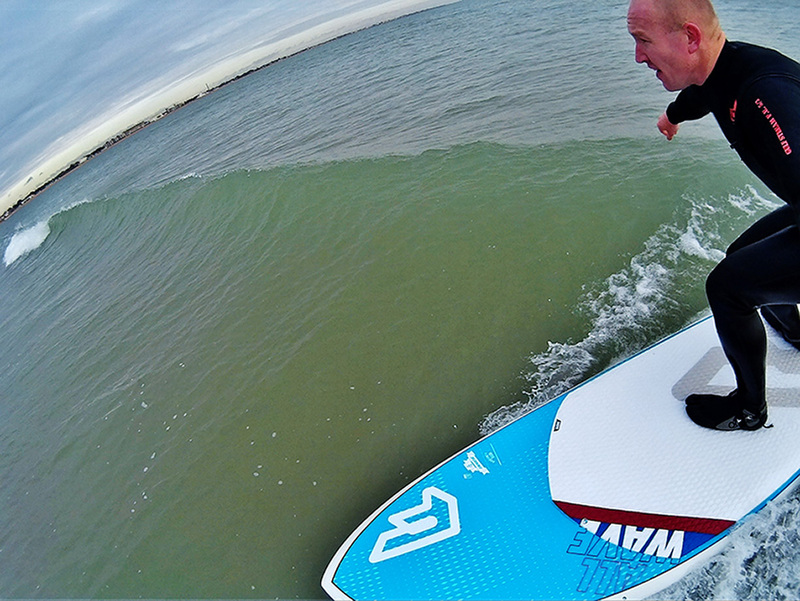 Fanatic’s 2015 AllWave is a proper work horse of a SUP. Spanning all elements of wave riding, from choppy naff conditions to bigger, clean conditions and on to windSUP, if you’re after a go anywhere, do anything wave tool then look no further. 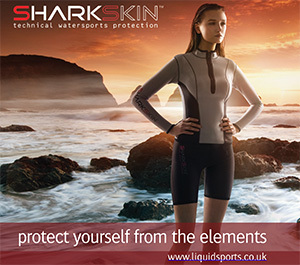 Would suit those riding in less than ideal conditions especially, or newbie wave riders looking to step it up in the surf. Drop a size for increased manoeuvrability. 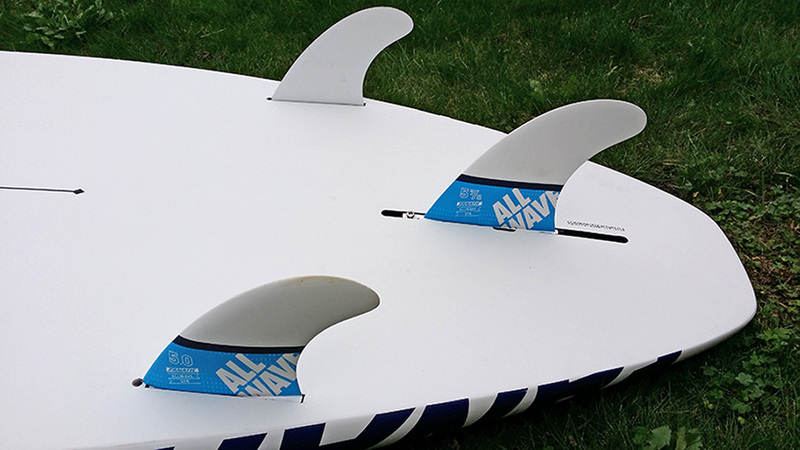 (Stay tuned for our write up of the AllWave 8.6ft).